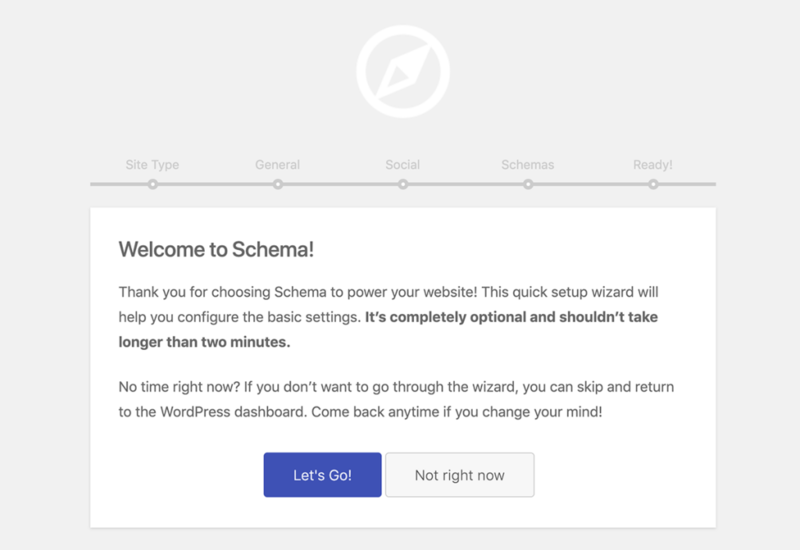 The Schema Premium plugin is packed with a step-by-step Quick Configuration Wizard to help you setup and configure the plugin settings. It’s an easy setup wizard that you will find useful, especially when you install the plugin on your site for the first time. Where can I find the Schema configuration wizard? 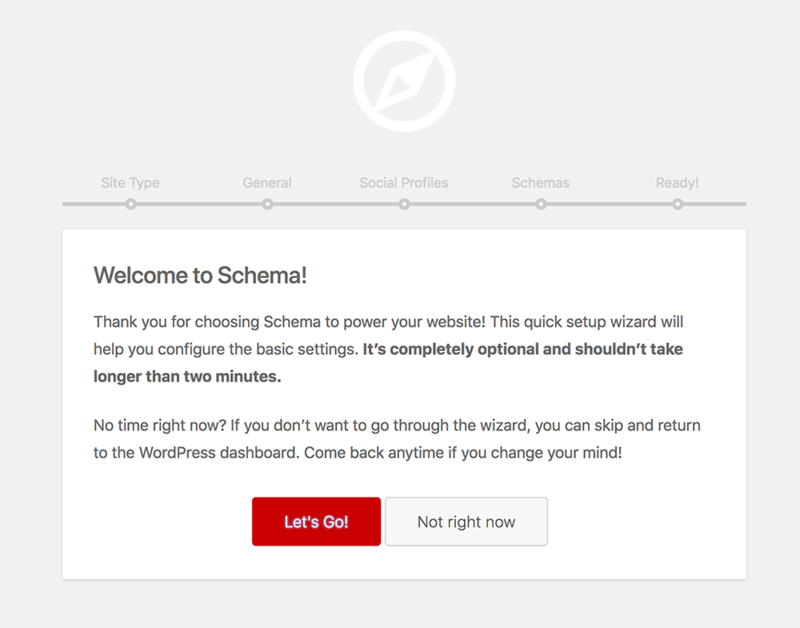 Find the wizard in the Schema Premium plugin settings page. Practically, you can fire the wizard and use it any time you want. Once you click on the Quick Configuration Wizard button, it will fire a page with a step-by-step panel that will guide you though configuring basic plugin settings. Firstly, you will see a simple Welcome screen, hit the “Let’s Go” button, or cancel to return to the plugin settings page.